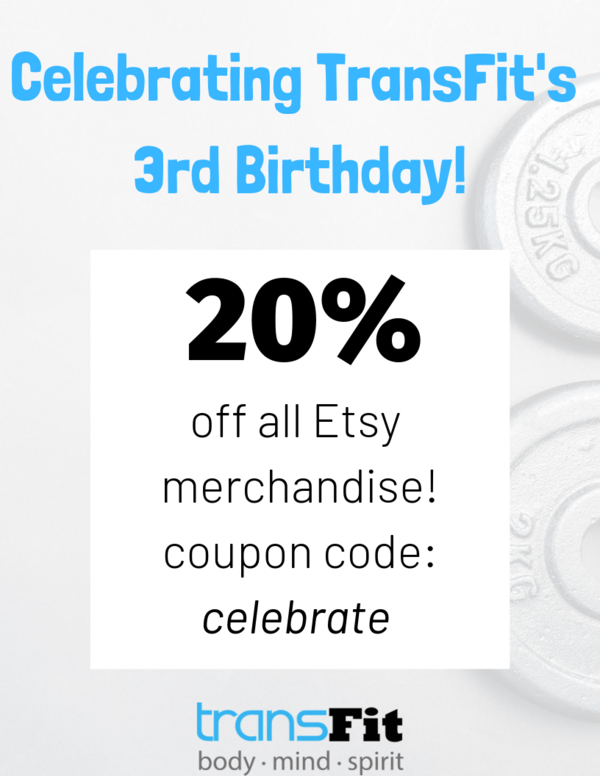 Today is the big dayâ€” TransFitâ€™s 3rd birthday! 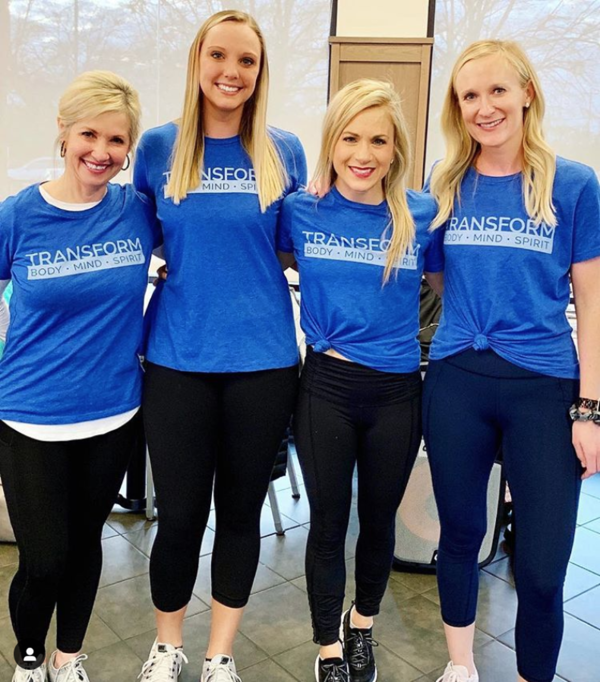 We celebrate every client and friend who has been a part of TransFit because we are stronger together! We have so many fun things going on in the studio today and throughout the rest of the week! Today we want you to think about celebration and how can you celebrate every day! We have loved seeing you dress up with us this week! Donâ€™t forget to wear glitter tomorrow and your crazy socks or leggings Friday! Today is our BIG giveaway! We are giving away one month of FREE TransFit classes! Make sure you are following our Instagram and Facebook today. We will post this giveaway on our page! Turn on post notifications for us to make sure you donâ€™t miss it! We still have our 20% off all merchandise sale going on! Make sure to get your favorite shirt, necklace, or bracelet before this sale ends! You can use the code â€œcelebrateâ€� on Etsy or buy your merchandise in the studio. As we celebrate today, donâ€™t forget we have 2 FREE ebooks you can download! You do not have to enter any payment information to download these! The link will take you to a page where you click â€œadd to cart.â€� Simply enter your email address, click continue to skip the payment section, then click purchase! You will be emailed a link to download your ebook! 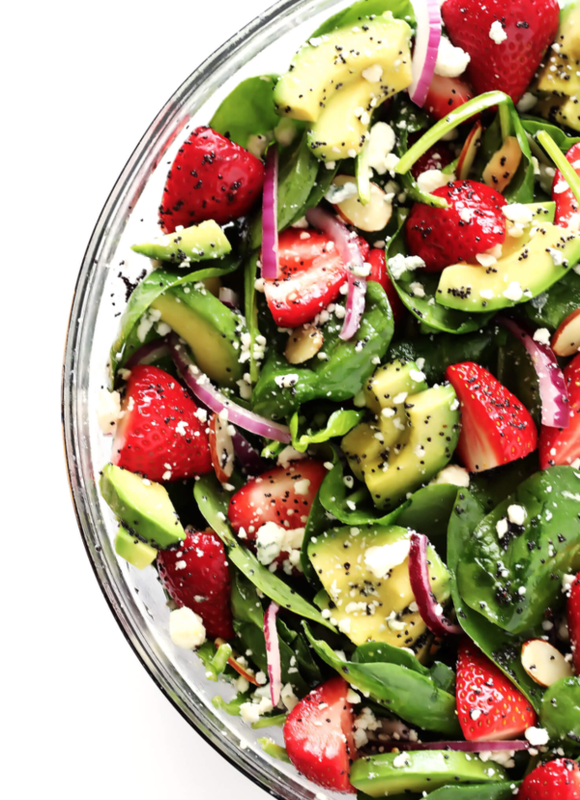 Celebrate today by making this Celebration Superfood Salad! Try it and let us know what you thinkâ€” we love when you tag us in your posts and stories on social media! Combine dressing ingredients, shake, then drizzle on top. Enjoy! Top with grilled chicken or salmon for more protein. Remember you can always find recipes, workouts, and inspiration on our FREE app! We are so grateful for each and every one of you! You have inspired us so much over the past 3 years. We love living transformed with you! Sign up for classes on our FREE app now so you can be in the studio for the rest of our fun birthday celebrations this week! 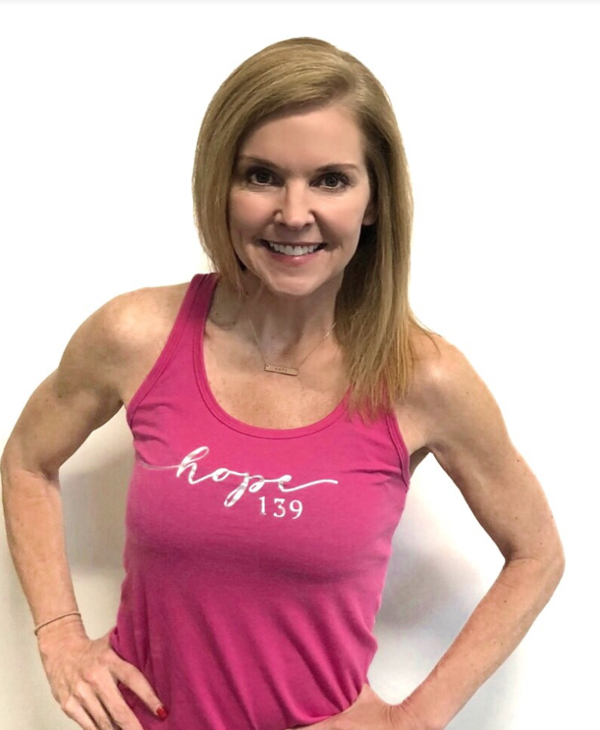 â�¤ï¸� How Can You Live Heart Healthy in February?